Amounts depend on two things: How much you want to make, and how thick you like your sauce; so I won’t give amounts, but I can guarantee that if you have half a brain in the kitchen you can’t go wrong. This is a sauce that requires no cooking, no preparing, and can be made as needed (it literally takes 2 minutes). 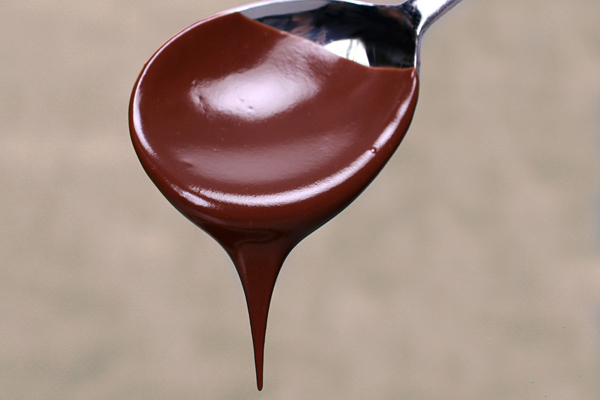 I have a recipe for a copycat Hershey’s chocolate sauce, but I had run out and decided to improvise one night. I’ll never make the more complicated sauces again! Scoop out your Nutella into whatever container you prefer. Start off with minimal milk, and stir it in gradually and thoroughly until you arrive at the consistency you want. That’s it! I promise! 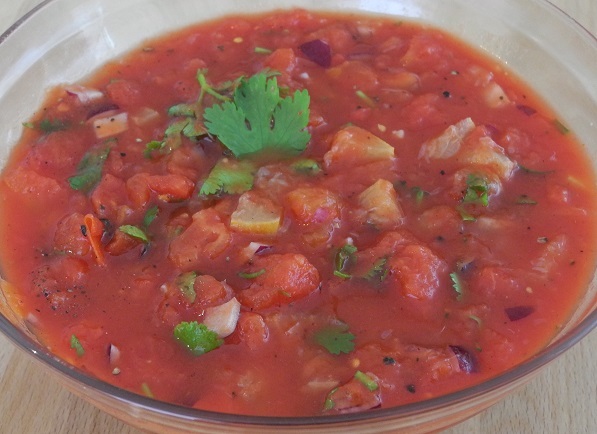 Preserved lemon adds a tart twist to traditional fresh tomato salsa. This goes well with the recipes recently posted for Beef Empanadas and Salted Lemon Guacamole, making a complete meal with a side of tortilla chips, and a dessert of your choice. 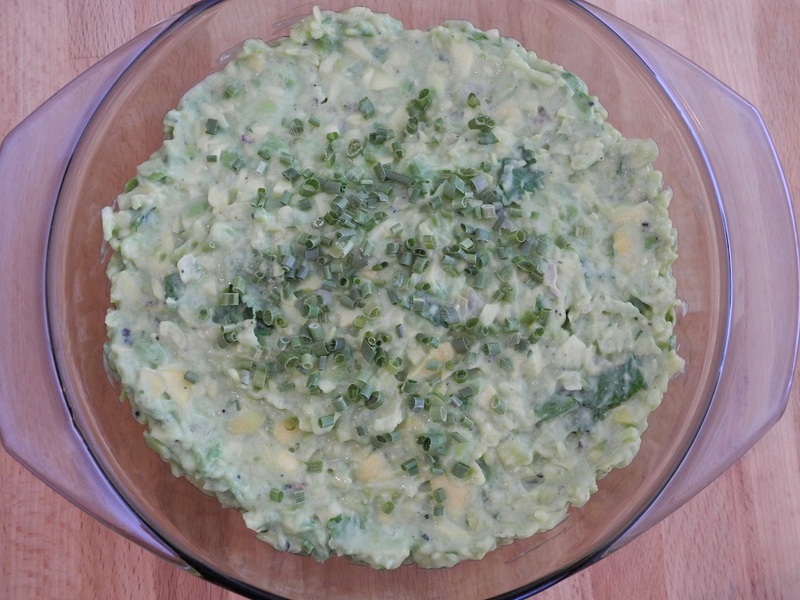 Scoop it up with tortilla chips or use it as a topping for your other Tex-Mex or Mexican dishes. Combine everything in a bowl large enough to accommodate stirring. This is a side dish. Usually one would add more lemon juice and salt, but these are both amply supplied by the salted lemon in its own juice. This goes well with a lemon salsa (coming up next! 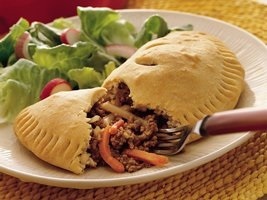 ), and the Empanadas. En Guete! This goes great with the Southwest Beef Empanadas & Salted Lemon Salsa! Fold in all of these ingredients into the blended ingredients, and pour all into a serving bowl. Serve with tortilla chips. This is a recipe I’ve adapted from one calling for pickling the limes in oil. I prefer this method as it leaves the limes with a more natural taste and without added oils. If you chose to do it with oils, add 2/1 cups of olive oil to a sauce pan and bring to a boil, then allow to completely cool before using in place of the lime juice. You could then use that oil, as the limes are used up, in your cooking. 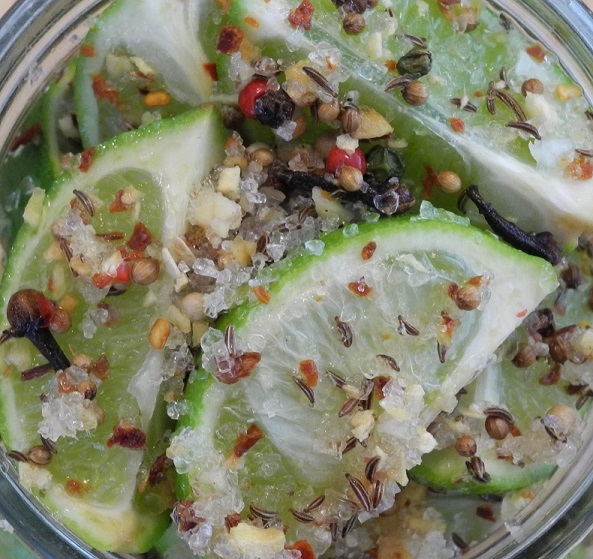 Just make sure that the limes remaining in the jar have enough oil to keep them covered. Oiled limes should be kept in the refridgerator after opening. As with the Salted Lemons recipe, please use limes that have not been treated with insecticides, as you will be eating the whole lime, peeling included. Stir the whole spices together in a large glass (non-reactive) bowl. Toss the lime quarters in the spices to coat, and then spoon into your chosen jar. Let them sit for 30 minutes. Pour in the lime juice to cover the limes, and seal the jar. Place it in a cool, dark place for 4 weeks to develop the flavors and soften the rinds. This amount fills a 1-litre jar to the brim, packed tightly, which requires minimal lime juice to fill the jar. I’ll be making these once again this week. This recipe was originally from Betty Crocker; one of my pet peeves is product placement in recipes; this is the 21st century, and bloggers are global which means that many people do not have access to Uncle Doohickey’s Gobbers, and have no idea how much “1 package” is! When it comes to recipe ingredients, I’m a scratchaholic. The Bisquick is a clone recipe I’ve already posted, and here you’ll find a good recipe for taco seasoning mix; there are hundreds out there on the web, but this is one I’ve used and like. Heat oven to 400°F (200°C). Line a baking sheet with baking paper, or grease with butter or oil of choice. In a pan, sauté the diced potatoes and carrots in a splash of coconut oil or olive oil a minute, then add the beef and cook, stirring occasionally, until done; drain. Stir in taco seasoning mix, the water, & onion. Reduce heat to medium; cook for a few minutes, stirring occasionally. In a bowl stir the Bisquick mix and boiling water together until a dough forms. On a surface sprinkled with Bisquick mix, roll the dough in the mix to coat; knead. Divide dough into 6 balls. Pat or roll each ball into 7-inch (18 cm) round. Place on the baking sheet. Spoon about ½ C. beef mixture onto one half of each round. Moisten the edge of each round with water and fold over the beef mixture, pressing the edges with a fork to seal. Cut 3 small slits into the top of each crust to allow steam to escape. Bake at 400°F (200°C) for 18 to 20 minutes or until light golden brown. Mix well, and store in a sealed jar. This should be enough for ~25 tacos.